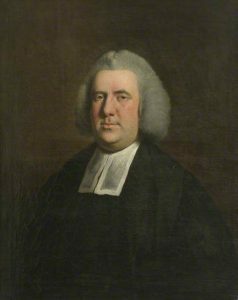 The story of the 18th century evangelical revivalist, John Berridge, whose open-air sermons in East Anglia drew thousands of people from many miles around. The spiritual awakening that took place in England during the mid-eighteenth century gave rise to new converts who were strongly motivated to preach about Christian salvation and spread the message – that people can be saved from the effects of evil by their faith. Berridge was Vicar of Everton, near Sandy in Bedfordshire. He was a passionate open-air preacher who travelled throughout the area and across the neighbouring counties. Some historians claim that had he lived in London, he would have been one of the most famous preachers that ever lived. Instead he became known simply as “the countryside pedlar of the Gospel”. Born in 1716, he was the son of a wealthy Nottinghamshire farmer. He spent much of his childhood living with an aunt who looked after him while he attended a nearby school. The school failed to give him any religious teaching, but he used to visit a school-friend at home who would passionately read the Bible to him. Young John Berridge was too polite to show his deep dislike, and he continued to listen respectfully whenever his friend read to him. Little did he know it, but this was an experience that would shape his future life. At fourteen, he returned home. His father hoped that he would one day inherit the family farm and continue to run it in the time-honoured manner. To his father’s great regret, he showed no aptitude whatever for farming. Instead he developed an interest in spiritual matters. After several years his father despaired of teaching him the trade and in 1734 sent him to study theology at Clare College, Cambridge. John Berridge found both the academic and social life at university highly stimulating. As well as reading theology, he studied logic, mathematics, and metaphysics. He built up a wide circle of friends, graduated with honours and in 1742 became a Fellow of the College. However his wide-ranging interests brought him into contact with diverse ideas and theories which distracted him from studying the Bible. Even so he was ordained in 1745, but still felt no wish to take up parish duties until 1749 when he became curate at Stapleford near Cambridge. Despite his enthusiastic sermons which advocated a life of good works, he had little success. In 1755 he moved to Everton, near Sandy, but still his preaching failed to have any effective results. Later that year, as John Berridge was meditating on the Bible, he concluded that trying to earn salvation by good deeds alone was mere vanity and pride. Instead he began to recognise the idea of “justification by faith” – that salvation required an act of sovereign grace by God. This discovery transformed his whole life. He lost no time in making up for his lost years. He abandoned all his previous sermons, burnt them and began to preach that salvation was obtained by “faith” rather than “good works”. Salvation was available to those who believed. From that time onwards Berridge’s ministry and outreach had a new authority. Within a few months there were frequent conversions in the large congregations which gathered to hear him preach. The number of conversions among the people of Everton increased so steadily that it could be justly claimed that a revival of considerable proportions was taking place. Even those who went to the services with the intention of disrupting them often found themselves convinced by his preaching and remained behind afterwards to ask Berridge more about the way of salvation. By 1758 he would ride on horseback travelling far and wide across the whole of Huntingdonshire, Bedfordshire and the surrounding counties. He went wherever people could be found. He preached up to twelve open-air sermons in villages and farms and travelled over 100 miles each week. His message was well received. But at times, his preaching was beginning to arouse excessive religious excitement and some curious physical reactions among his listeners. According to Bishop J C Ryle writing a century later, “some cried out aloud hysterically, some were thrown into strong convulsions, and some fell into a kind of trance or catalepsy. Unfortunately for Berridge, this threatened to discredit his basic message. But Ryle points out that he never encouraged these demonstrations and certainly did not favour fanaticism. Compelled by a desire to spread the good news of salvation, the indefatigable John Berridge became a leading evangelical in the same vein as the 18th century revivalists, such as the Wesley brothers, Daniel Rowlands and George Whitfield. But his fame raised up enemies. His success threatened the authority of the local clergy in whose parishes he preached. They complained to the Bishop of Ely, Matthias Mawson, who warned Berridge he would dispossess him unless he put a stop to his itinerant preaching. William Pitt the elder, a friend from his Cambridge days, intervened and the bishop backed down. 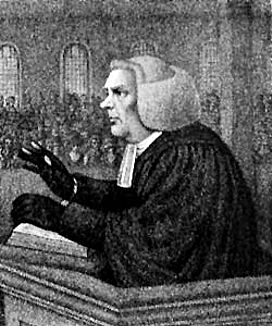 Although John Berridge was not as well renowned for his preaching as George Whitefield and John Wesley, he played a vital part in the eighteenth century revival, as his contemporaries recognised. George Whitfield, who invited him to preach regularly at his chapel in Tottenham Court Road, London, described him as “a burning and shining light”. After a successful ministry of more than thirty years, both his sight and hearing began to fail. He died at the age of seventy-seven. Thousands of people attended his funeral. At his own request John Berridge was buried on the north-east side of Everton churchyard as “a means of consecrating it”. This piece of ground had previously been reserved for those who had come to a dishonourable end. 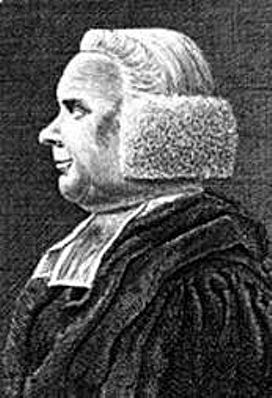 However, Berridge is remembered to this day as one of the great preachers who played a major role in the great evangelical revival of the eighteenth century.